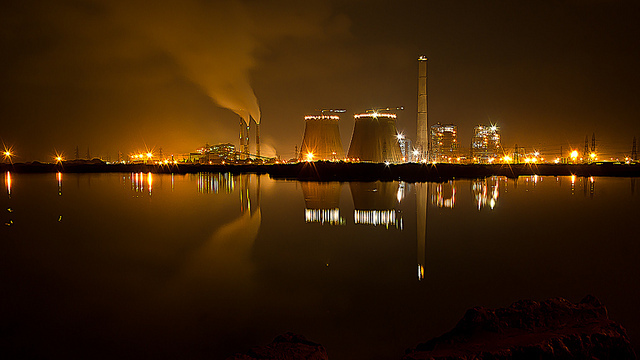 Indian thermal power producers want the deadline for the implementation of new stringent pollution norms to be relaxed. After Ministry of Environment, Forests and Climate Change (MoEFCC) notified new norms for SOx and NOx emissions from thermal power plants, late last year, power producers present in the International Conference on Coal power organised by Centre for Science and Environment have said that the Ministry has not addressed their concerns. According to the estimate provided by the power producers, the cost for technical changes could be Rs 50 lakh-1.5 crore per megawatt amounting to Rs 80,000 crore and Rs 2.4 lakh crore for the entire capacity of the country. Moreover, domestic capacity to manufacture boilers with relevant technology upgrade is limited to 10-15 gigawatt (GW) per annum versus the demand of 80GW over two years for complying with SOx norms alone. Representatives from GE Alstom, Jindal Power, Tata and Independent Power Producers’ Association have said that two years time to adhere to these norms is far too less. Taruna Saxena, Group Head (Corporate Environment and Climate Change) from Tata Power says that ministry could have given some benefits to the efficient power plants in the country. “Increase in coal cess will impact the rate of return from the investment in power stations,” she said. Saxena also added that coastal power plants were not taken into consideration while framing these rules. “Coastal power plants are not being addressed—converting sea water once through cooling (OTC) plant into Cooling Tower (CT) plants and complying with specific water consumption norms would be difficult,” she added. On the issue relaxing the time limit for adhering to these norms, Alok Jha, vice president of GE Alstom South Asia said that similar norms took 10 years in China to cover 600 GW. “While there are suppliers of clean technology from China, financing them is a huge concern for us,” he added. J K Soni, executive vice president of Jindal Power added that technology to retrofit older power plants with output less than 500 MW is not available.